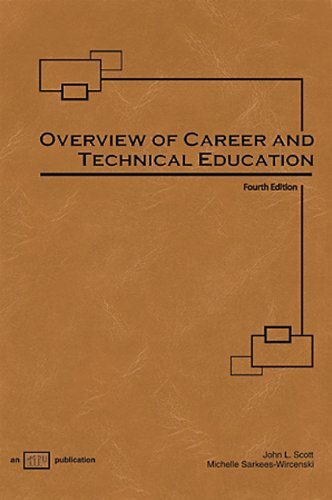 Overview of Career and Technical Education has been revised to maintain it as the preeminent historical reference book in the field. A broad-brush overview of the history and development of career and technical education programs is provided, including a brief account of the origin and early forms of education for work. the various experiments for including education for work in schools. the introduction of apprenticeship into colonial America. and the development of education for work in the schools of America prior to the passage of the Smith-Hughes Act of 1917.This new edition includes updates in current federal legislation and coverage of recently passed legislation. It also includes material covering the role of teachers, guidance counselors, and administrators in secondary and postsecondary career and technical education programs, as well as material on dual enrollment programs and career academies and how these programs prepare students for the workforce.